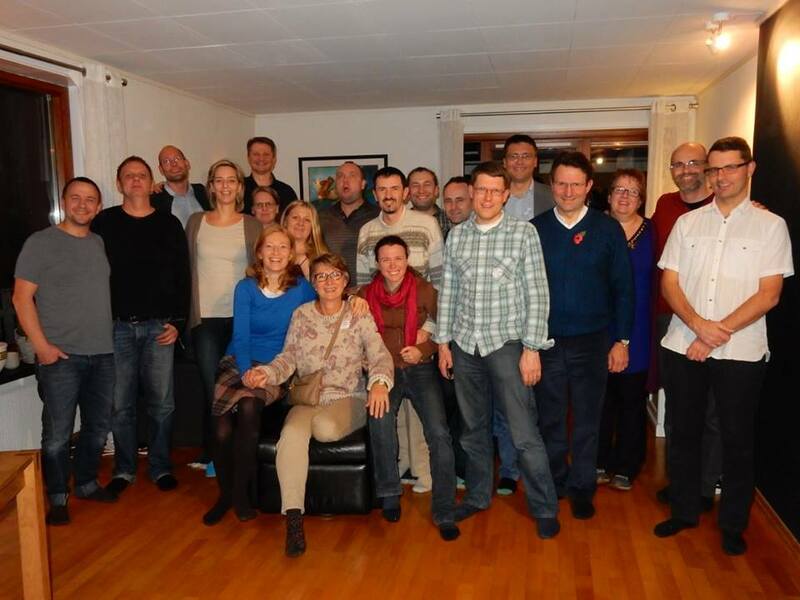 European HOPE conference: ‘Compassion in Action’ 7th – 9th November 2014 Oslo, Norway. 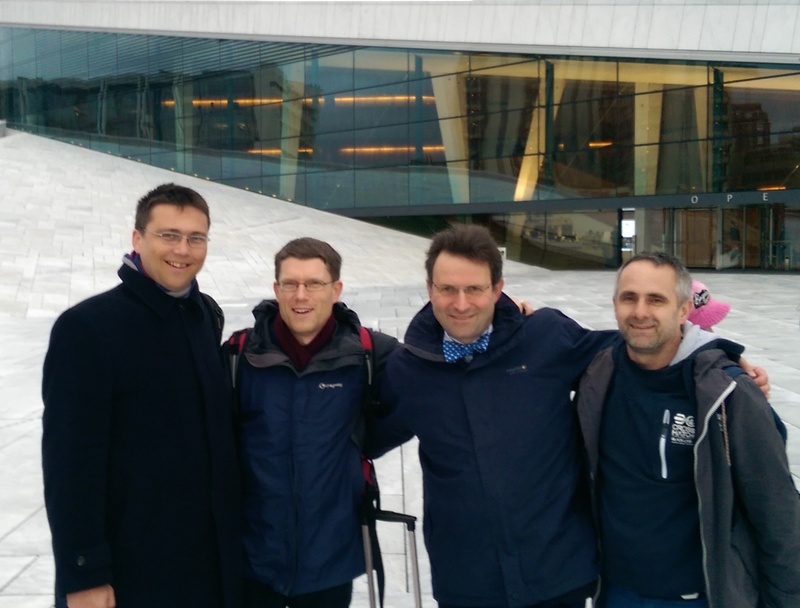 The UK participants outside the opera house in Oslo: Wil Horwood, Robert Payne, David Kaner and Barry Lamb. This year, most of the conference was devoted to an introductory course in Empathic communication. This was delivered by Ronny Yttrehus, leader of the Oslo Church of Christ (pictured below on far right) who has been trained in empathic communication. Jesus modelled this kind of communication as his ‘heart went out’ to people and it was very helpful to learn how better to listen to people and help them deal with their challenges. This is very relevant to HOPE worldwide’s European projects where we strive to help people in a variety of situations: seniors, orphans, homeless, recovering addicts and refugees. The conference participants are pictured below. Conference participants. Countries represented were Croatia, Czech Republic, Denmark, Finland, Germany, Norway, Russia, Switzerland, United Kingdom and Ukraine. Context: When people can’t understand, manage or find meaning in what is happening to them they can feel helpless and need help to move back to normality. N.B. The listener should not interrupt or comment during Steps 1 to 3 apart from acknowledging what is being said. If questions need to be asked after step 3 then the listener can ask ‘open questions’ such as ‘what else…’ or ‘can you tell me more about …..’ rather than ‘Why?’. The method was developed by Dr. Lisbeth Holter Brudal (pictured below in deep discussion with conference delegates from Russia and Ukraine). The book ‘Empathic Communication’ by Lisbeth-Holter-Brudal that accompanies the course is available as an e book on Amazon. Dr. Lisbeth Holter with two ’empathic listeners in training’. 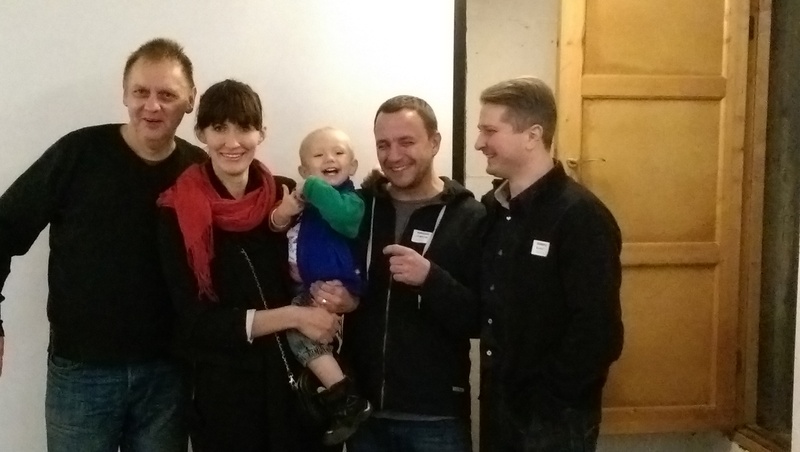 Compassion in Action – Helping Ukrainian refugees: Lesia (pictured below) is a Ukrainian married to a Dane. She really wanted to help in the current crisis where there are 800,000 refugees! She and her friends from the church of Christ in Copenhagen collected 40 boxes of clothes etc… and then she shared it on facebook. Over time 1,000 boxes of donations were made and didn’t know how to get them to Ukraine…something she had to pray about. Amazingly, a major shipping company donated a huge shipping container and transported it for free! It is inspiring to see what can be achieved when you start something in faith.